"To recreate true beauty of Asian architectural heritages, we asked and learned from the masters." Showboat Casino Atlantic City – Asian Gaming Pit / Noodle Bar - Showboat Atlantic City – 2,500 sq. ft.
Caesars Casino Atlantic City – Asian Gaming Pit / Noodle Bar - Caesars Atlantic City – 9,500 sq. 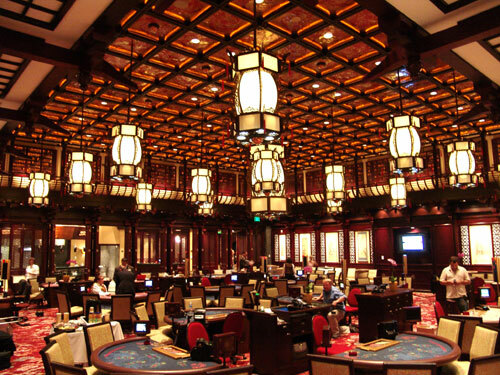 ft.
Ballys Casino Atlantic City – Asian Gaming Pit / Noodle Bar - Ballys Atlantic City – 3,500 sq. ft.
Harrah's South Lake Tahoe - Gi Fu Loh– Sea Food Restaurant-South Lake Tahoe- 4,000 sq.ft. Biloxi Grand Casino and Hotel–Asian Gaming Pit / Noodle Bar - Biloxi, MS- 2500 sq.ft. 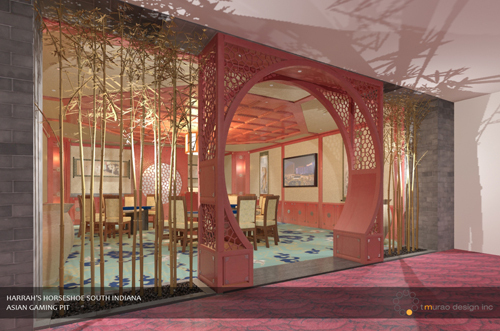 Horseshoe Hammond Casino–Asian Gaming Pit / Noodle Bar - Hammond, IN- 12,000 sq.ft. 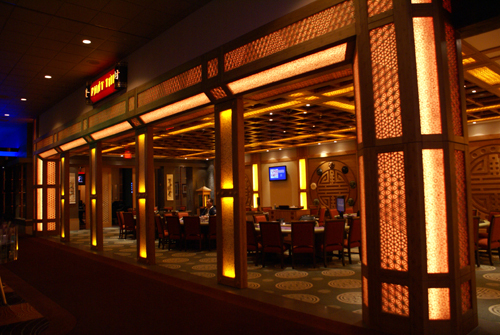 Harrah's St. Louis Casino–Asian Gaming Pit / Noodle Bar - St. Louis, MO - 6,000 sq.ft. Louisville Horseshoe Casino–High-limit Gaming Pit - Louisville IN- 650 sq.ft.